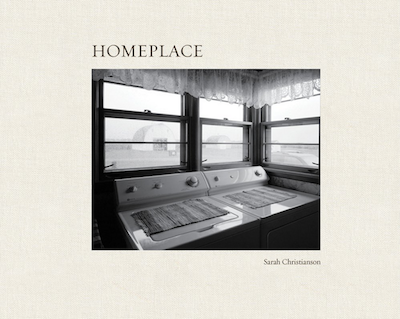 Sarah Christianson's Homeplace, occupies both a physical and psychological geography. It is deeply rooted in the history and lineage of her family. It exists in the buildings and houses that once loomed over fertile ground on her family's farm. It exists in her family photo archive, filled with the solemn, stern and proud faces of her ancestors. 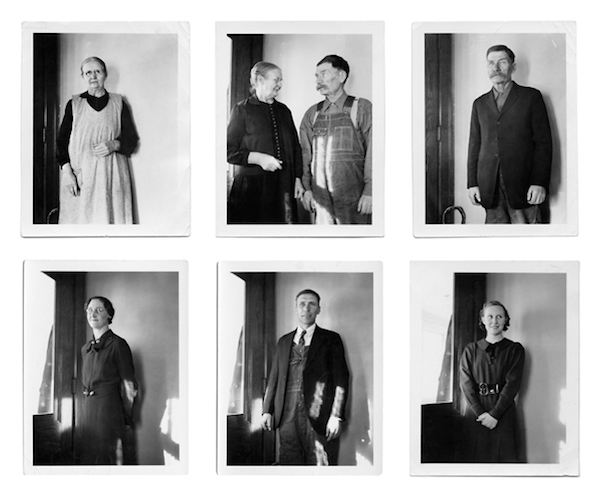 These haunting faces bare a striking resemblance to those that appear in current family portraits made by Christianson. She also finds home in a distant Norwegian landscape, where the farms of her forefathers still exist, but are being operated by other families. Her ancestors were unmarried women, tenant farmers, or younger sons who would not inherit their family farm in Norway. They were a determined people that migrated to the upper Midwest seeking the promise of abundant, affordable and productive land. The text and photographs in Homeplace transcend what you might initially mistake as a common genealogical study or family album. This work is personal, but it describes the transformation of a people, a family, an agrarian lifestyle and an artist. The sociological and anthropological value of this book should not be overlooked. Arnold Alanen, Professor Emeritus at the University of Wisconsin, Madison, writes the introduction for Homeplace. He uses Christianson's family history to elaborate on the plight of immigrant farmers and their families in the United States during the late nineteenth and twentieth century. This book is also about the visual language and medium of photography. Christianson uses vernacular images in combination with her own photographs to construct a family narrative as experienced through the eyes of an artist. Christianson describes the land by photographing its geometry: the lines and incursions etched into the fields by combines and plows. In a way, her family history is written on this ground. Like marks left by an ancient civilization these designs seem to take on new meanings when photographed from an aerial perspective. Documenting the passage of time through long exposures, she transforms this seemingly mundane North Dakota landscape. Grains and grasses become blurred by the wind as invisible commuter jets paint lines in the sky. The color images evoke feelings of fear and awe. It makes sense that Christianson's images would embody the idea of the sublime in nature. It's something her family has been contending with for over a century. Homeplace is a hardbound book, with color and black and white reproductions. It is well designed and organized with 94 pages of images and supplementary text. Sarah Christianson's approach to this project is thoughtful, thorough and meticulous in its presentation. I think it will make a nice addition to your bookshelf. Daniel W. Coburn is a photographer and Assistant Professor at The University of Kansas, Lawrence.